Michael founded Social Ventures Australia in 2002, after 15 years as a co-founder and Executive Director of Macquarie Group’s private equity arm, Macquarie Direct Investment. 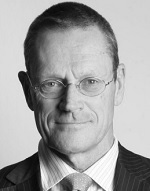 Having stepped down as CEO of Social Ventures in 2014, Michael currently has a range of primarily social purpose Chair and board roles including Chair of Goodstart Early Learning; Executive Director of For Purpose Investments, a Director of M H Carnegie & Co, Sunsuper and a member of the Council of the National Museum of Australia. Michael is the author of ‘Jumping Ship – From the world of corporate Australia to the heart of social investment’ which won the prestigious Ashurst Business Literature Prize. The book reflects on his personal and professional journey and has been a widely acclaimed manifesto for change and action in the social purpose sector. In 2010 Michael was made a member of the Order of Australia in recognition of his services to non-profit organisations. Michael holds a BA (Hons) from the University of Melbourne and an MBA from Harvard University.